Who are the ENS Faculty? Women, Power, and Dissent in the Hills of Carolina is a unique and impassioned exploration of gender, labor, and resistance in western North Carolina. Based on eight months of field research in a mica manufacturing plant and the surrounding rural community, as well as oral histories of women who worked in mica houses in the early twentieth century, this landmark study canvasses the history of the mica industry and the ways it came to be organized around women's labor. Mary K. Anglin's investigation of working women's lives in the plant she calls "Moth Hill Mica Company" reveals the ways women have contributed to household and regional economies for more than a century. Without union support or recognition as skilled laborers, these women developed alternate strategies for challenging the poor working conditions, paltry wages, and corporate rhetoric of Moth Hill. Utilizing the power of memory and strong family and community ties, as well as their own interpretations of gender and culture, the women have found ways to "boss themselves." In her ethnography of the Gwembe Tonga people of rural Zambia, Lisa Cliggett explores what happens to kinship ties in times of famine. The Tonga, a matrilineal Bantu-speaking society, had long lived and farmed along the banks of the Zambezi River, but when the Kariba Dam was completed and the river valley was flooded in 1958, approximately 57,000 people were forcibly relocated. All of southern Africa has suffered from severe droughts in the last three decades, and the Gwembe Valley has proved particularly susceptible to failed harvests and sociopolitically and ecologically triggered crises. The work of survival for the Gwembe Tonga includes difficult decisions about how to distribute inadequate resources among family members. Physically limited elderly Tonga who rely on their kin for food and assistance are particularly vulnerable. Cliggett examines Tonga household economies and support systems for the elderly. Old men and women, she finds, use deeply gendered approaches to encourage aid from their children and fend off starvation. In extreme circumstances, often the only resources at people's disposal are social support networks. Cliggett's book tells a story about how people living in environmentally and economically dire circumstances manage their social and material worlds to the best of their ability, sometimes at the cost of maintaining kinship bonds—a finding that challenges Western notions of family among indigenous people, especially in rural Africa. Berbers are the ancient inhabitants of North Africa, but rarely have they formed an actual kingdom or separate nation state. Ranging anywhere between 15-50 million, depending on how they are classified, the Berbers have influenced the culture and religion of Roman North Africa and played key roles in the spread of Islam and its culture in North Africa, Spain, and Sub-Saharan Africa. Taken together, these dynamics have over time converted to redefine the field of Berber identity and its socio-political representations and symbols, making it an even more important issue in the new century. 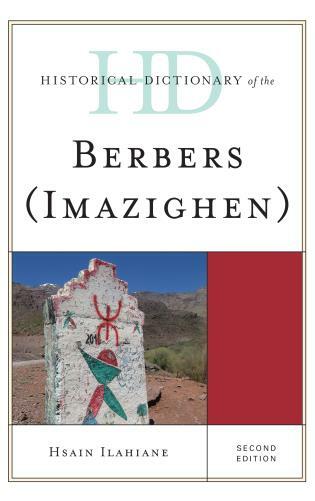 Through the use of maps, a list of acronyms, a chronology, an introductory essay, a bibliography, appendixes, and hundreds of cross-referenced dictionary entries on significant persons, places, events, institutions, and aspects of culture, society, economy and politics―past and present―the Historical Dictionary of the Berbers (Imazighen) provides necessary information on this under-studied group of people. As “globalization” moves rapidly from buzzword to cliché, evaluating the claims of neoliberal capitalism to empower and enrich remains urgently important. The authors in this volume employ feminist, ethnographic methods to examine what free trade and export processing zones, economic liberalization, and currency reform mean to women in Argentina, Sri Lanka, Mexico, Ghana, the United States, India, Jamaica, and many other places. Heralded as agents of prosperity and liberation, neoliberal economic policies have all too often refigured and redoubled the burdens of gender, race, caste, class, and regional subordination that women bear. Traders, garment factory operatives, hotel managers and maids, small farmers and agricultural laborers, garbage pickers, domestic caregivers, daughters, wives, and mothers―women around the world are struggling to challenge the tendency of globalization talk to veil their marginalization. Robinson Forest in eastern Kentucky is one of our most important natural landscapes—and one of the most threatened. Covering fourteen thousand acres of some of the most diverse forest region in temperate North America, it is a haven of biological richness within an ever-expanding desert created by mountaintop removal mining. Written by two people with deep knowledge of Robinson Forest, The Embattled Wilderness engagingly portrays this singular place as it persuasively appeals for its protection. In The Embattled Wilderness, Erik Reece, an environmental writer, and James J. Krupa, a naturalist and evolutionary biologist, alternate chapters on the cultural and natural history of the place. While Reece outlines the threats to the forest and leads us to new ways of thinking about its value, Krupa assembles an engaging record of the woodrats and darters, lichens and maples, centipedes and salamanders that make up the forest’s ecosystem. It is a readable yet rigorous, passionate yet reasoned summation of what can be found, or lost, in Robinson Forest and other irreplaceable places. By 2008, total Fair Trade purchases in the developed world reached nearly $3 billion, a five-fold increase in four years. Consumers pay a “fair price” for Fair Trade items, which are meant to generate greater earnings for family farmers, cover the costs of production, and support socially just and environmentally sound practices. 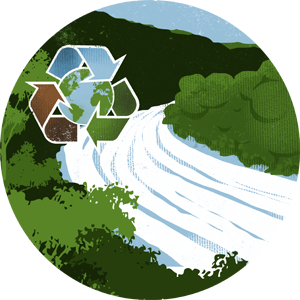 Yet constrained by existing markets and the entities that dominate them, Fair Trade often delivers material improvements for producers that are much more modest than the profound social transformations the movement claims to support. There has been scant real-world assessment of Fair Trade’s effectiveness. Drawing upon fine-grained anthropological studies of a variety of regions and commodity systems including Darjeeling tea, coffee, crafts, and cut flowers, the chapters in Fair Trade and Social Justice represent the first works to use ethnographic case studies to assess whether the Fair Trade Movement is actually achieving its goals. “How do more powerful actors-state institutions, intellectuals, elites, NGOs, etc.-try, in an imperfect and messy way, to mold collective identities? Martinez Novo not only poses this rather interesting problem, but investigates it with an innovative methodology and supports it with sound scholarship. 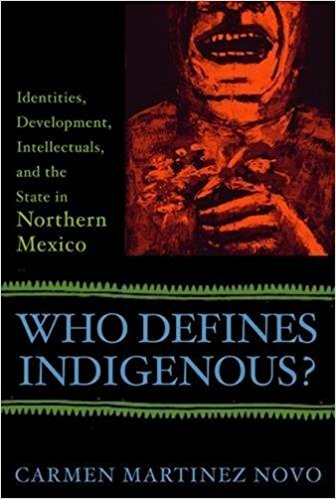 "-Steve Striffler, author of In the Shadows of State and Capital For years, conventional scholarship has argued that minority groups are better served when the majority groups that absorb them are willing to recognize and allow for the preservation of indigenous identities. But is the reinforcement of ethnic identity among migrant groups always a process of self-liberation? In this surprising study, Carmen Martinez Novo draws on her ethnographic research of the Mixtec Indians' migration from the southwest of Mexico to Baja California to show that sometimes the push for indigenous labels is more a process of external oppression than it is of minority empowerment. In Baja California, many Mixtec Indians have not made efforts to align themselves as a coherent demographic. Instead, Martinez Novo finds that the push for indigenous identity in this region has come from local government agencies, economic elites, intellectuals, and other external agents. Their concern has not only been over the loss of rich culture. Rather, the pressure to maintain an indigenous identity has stemmed from the desire to secure a reproducible abundance of cheap "Indian" labor. Meanwhile, many Mixtecs reject their ethnic label precisely because being "Indian" means being a commercial agriculture low-wage worker or an urban informal street vendor-an identity that interferes with their goals of social mobility and economic integration. Bringing a critical new perspective to the complex intersection among government and scholarly agendas, economic development, global identity politics, and the aspirations of local migrants, this provocative book is essential reading for scholars working in the fields of sociology, anthropology, and ethnic studies. Carmen Martinez Novo is a professor and researcher in the anthropology program at Facultad Latinoamericana de Ciencias Sociales Sede Ecuador in Quito, Ecuador. If Edmund Husserl's true philosophy lay in his unpublished research manuscripts, as he argues, then it is in these – rather than the "introductions" and fragmentary studies he published during his lifetime – that we may possibly find a systematic of his philosophy. This work constitutes a study of the full range of Husserl's writings with the special task of uncovering there the systematic presentation or presentations of the transcendental phenomenological problematic. Sandmeyer's study contains an overview of Husserl's total set of writings, a translation of Husserl correspondence with Georg Misch, a translation of a draft outline of the "system of phenomenological philosophy" produced by Husserl in collaboration with his assistant, Eugen Fink, and it also closely traces the influence of Wilhelm Dilthey on Husserl's philosophy. This book shows that a concept of activity timespace drawn from the work of Martin Heidegger provides new insights into the nature of activity, society, and history. Although the book is a work of theory, it has significant implications for the determination and course, not just of activity, but of sociohistorical change as well. Drawing on empirical examples, the book argues (1) that timespace is a key component of the overall space and time of social life, (2) that interwoven timespaces form an essential infrastructure of important social phenomena such as power, coordinated actions, social organizations, and social systems, and (3) that history encompasses constellations of indeterminate temporalspatial events. The latter conception of history in turn yields a propitious account of how the past exists in the present. In addition, because the concept of activity timespace highlights the teleological character of human action, the book contains an extensive defense of the teleological character of such allegedly ateleological forms of activity as emotional and ceremonial actions. Since, finally, the book's ideas about timespace and activity as an indeterminate event derive from an interpretation of Heidegger, the work furthers understanding of the relevance of his thought for social and historical theory. This revised and updated edition identifies the cultural factors and specific administrative agendas that have shaped the way we view ballistic missile technology. Three new sections connect our recent, sudden shifts in foreign policy to ongoing historical patterns. Whether cautioning against the "almost neurotic pursuit of absolute security" or examining the powerful influence of religion on military buildup, Ernest J.Yanarella uncovers the deeply ingrained attitudes that will determine the future of American missile defense.